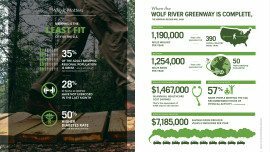 The Mounds Greenway economic impact analysis is the first step in a larger, multi-year effort to build momentum for the Mounds Greenway. The primary goal of this study was to use a sound, defensible methodology to determine the quantitative economic, health, and environmental impacts of developing the Mounds Greenway. 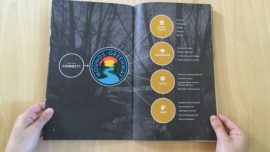 The Mounds Greenway will serve as a linear park, closing a 17-mile gap between existing trail networks to connect multiple East Central Indiana communities, significant natural resources, and a variety of cultural and historic destinations. Alta worked with the Hoosier Environmental Council to analyze the health, environmental, climate, economic, and transportation benefits that residents might experience as a result of construction of the proposed greenway. Alta’s team kicked off the project will an on-site tour of the study corridor, resulting in a map illustrating opportunities to enhance the design of the proposed greenway and photosimulations of what the greenway could look like if it takes advantage of these opportunities. 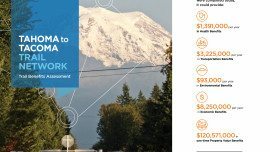 Alta then studied the existing conditions of the region through a review of existing plans, studies, and available data sources to create a baseline of health, environmental, climate, economic, and transportation needs. With this baseline in hand, Alta identified a series of aspirational communities similar to East Central Indiana in population and demographics but with bicycle and pedestrian infrastructure similar to the proposed greenway. 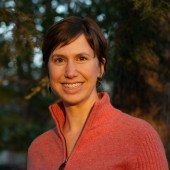 Next, Alta entered the baseline data and aspirational communities into its Benefits Impact Model and developed a technical memorandum summarizing the estimated potential benefits resulting from construction of the Mounds Greenway. Finally, Alta translated the data intensive memorandum into an easy-to-read document and presented the findings to communities along the study corridor. The study will be used as a “kitchen table” document to engage residents in a conversation about the potential of the Mounds Greenway and to seek funding to design, construct, and promote the greenway as a signature linear park for the region.